Jesska Denise: Review : Bio Oil. Been using Bio Oil a lot lately to help with my bad skin. I'm not very fussy about a skin care routine which is probably why my skin is so tragic lately but anyway. I used to use a prescribed roll on to help with my skin but the one i used is no longer available so I switched to Bio Oil in September. It says to apply twice a day for three months which honestly? I don't do. I plop it on at night because of how oily it is and wake up in the morning with the redness of my spots gone down. I don't recommend applying it in the morning unless you're not going anywhere because of how shiny it leaves your face. I really think it works wonders. I bought this 60ml bottle in September for 11€ from Boots and as you can see only the tiniest amount has gone. I apply to my chin and then dab it onto the 'spot scars' on my forehead. I also apply it to a burn mark I got on my arm a few weeks ago and it's really helped fade them all. I find that it really re-hydrates my skin too which is great. I think if you have bad skin and are short for time at night (too lazy to do a 15mins skincare routine that is) then you'll love this as it really has improved my 'spot scars'. It does have a slight scent which i can't put my finger on but it isn't over whelming. Have any of you tried this? If so what did you think? I never had such luck with the Bio Oil, I was using it for scars near enough twice daily and it just never seemed to do anything. Perhaps my scars where to big or too old, i'm not sure. Glad to see it's working for you though. 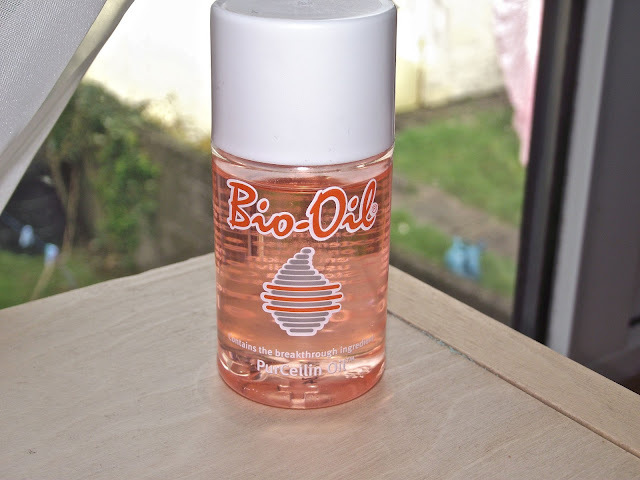 I absolutely adore Bio Oil, I've never used it on my face, though, might be giving it a try, soon!